IRONCAD ist eine intuitive 3D Konstruktionslösung, die einen neuen Konstruktionsansatz bietet. Konstruieren Sie schneller als mit jedem anderen CAD-System, das Sie auf dem Markt finden. Vergessen Sie alles über Zwangsbedingungen. Konstruieren Sie so, wie Sie denken. Erstmalig: Ein logischer Weg vom Konzept zum finalen Entwurf in Fertigungsqualität. IRONCAD lets you design the way you think, intuitively and powerfully. 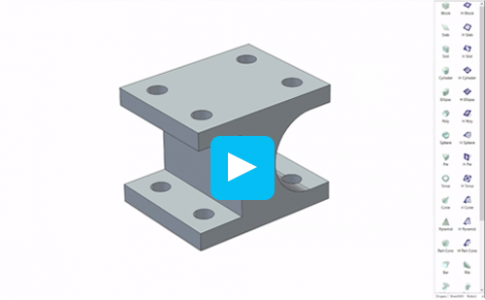 Drag and drop shapes, parts, and assemblies from infinitely customizable catalogs; push and pull to make precise changes in seconds; and create an entire assembly in one file. It’s 3D modeling the way it should be. IRONCAD models fast, and we mean really fast. 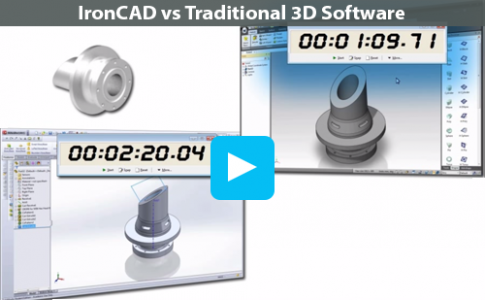 Get ahead of your competitors and get to market faster with tools that skip many of the boring steps in traditional 3D CAD. Put simply, get far more return on investment for every minute you spend designing. IronCAD lets you model an entire assembly in one file. This means you’re designing every part in the context of its assembly, sizing and positioning in relative to other parts so that everything fits perfectly first time. There’s no need to mate/constrain every part — they’re designed together, so they’re already in the right place. 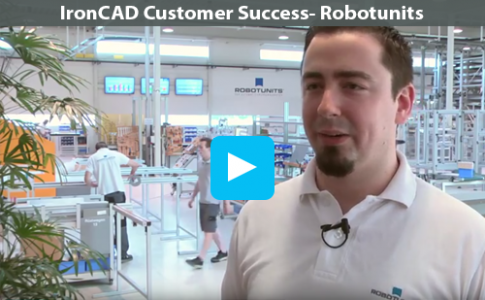 When you have a moving part, simply apply the constraint to that part of the model, skipping all the other constraints necessary in traditional 3D CAD. But if you want to design that way, IRONCAD is all about flexibility — you still have the option to save files externally if you need to. Make design changes in seconds, without worrying about how the model was made or if you’ll break the history tree. The amount of time and money spent making late design changes is simply crazy, and IRONCAD changes that by letting you model with or without history dependency. Making a change to your model is as simple as doing it. 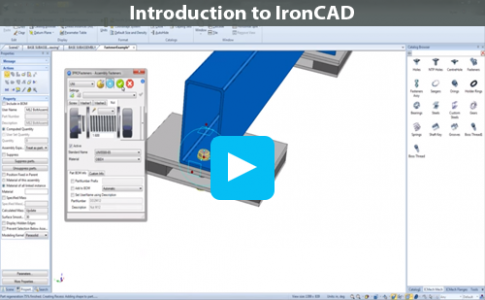 Experience the IRONCAD difference by downloading a free, fully functional 30-day trial of the IronCAD Design Collaboration Suite, including IRONCAD, IRONCAD INOVATE, IRONCAD DRAFT, and IRONCAD COMPOSE, as well as IronCAD’s powerful Design Extensions and catalogs.